Integrate IBM Notes and Domino, Outlook and Gmail with fax and voicemail management. Review faxes and voicemail from Notes, web and touch-tone. Powerful fax and voicemail management! faxes & voicemail the easy way! 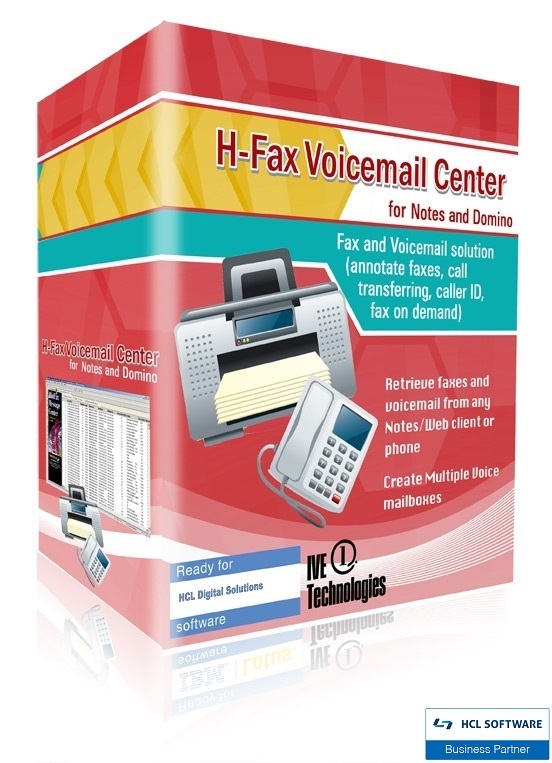 H-Fax Voicemail Center makes faxing easier and more productive than ever before. With seamless integration with IBM Notes, you are always one click away from receiving a fax. Simple and easy to use, yet powerful enough for plenty of flexibility. "Fax is a trusted communication method in this era of almost daily news about security breaches. Fax usage grew by an average of 27% [in 2017] and is expected to grow by an average of 25% over the next two years [thru 2019]. Fax documents are legally binding documents, and fax supports compliance with industry regulations (e.g., HIPAA, SOX, GLBA)." For businesses that can't afford multi-thousand telephone systems, H-Fax Voicemail Center gives you big office features. Its voicemail capability provides secure, customizable voicemail, and offers you the ability to create multiple business departments and personal extensions for your office. Plenty of standard voicemail features you would expect from any telephone system, all for a fraction of the cost. H-Fax Voicemail Center provides you the tools to effectively handle each call the way you want them handled. Have any new voice or fax messages routed to any email address so you'll never miss another message. Take advantage of Caller ID to manage how you handle those calls. Set up an unlimited number of voice mailboxes and any identified calls are routed to the appropriate mailbox automatically. Whatever your needs, H-Fax Voicemail Center has the flexibility to set it up.